Do you know what August means? It means I got to start my new planner! Yes, I’m a planner junkie, and new planner time is like the best part of the year for me. Along with that came some tweaks to how I keep track of the things our family does. So not only do I have a detailed roundup of unschooling in August to show you today, but in another few days, I’ll have a post on our planning and record-keeping system for those of you who are wondering how we “document” our family learning times. If you’re new to seeing our days recapped in this format, check out our archive of previous wrapups here for some more info on why we take this approach and some other highlights of our adventures. 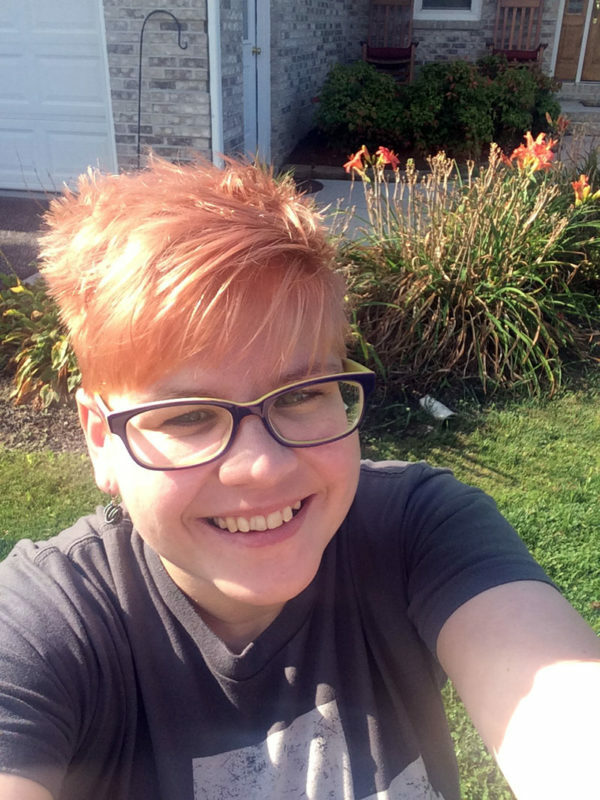 And if you haven’t checked out our unschooling “curriculum plan” for Sarah’s 12th-grade year, I definitely encourage you to take a look at that too! 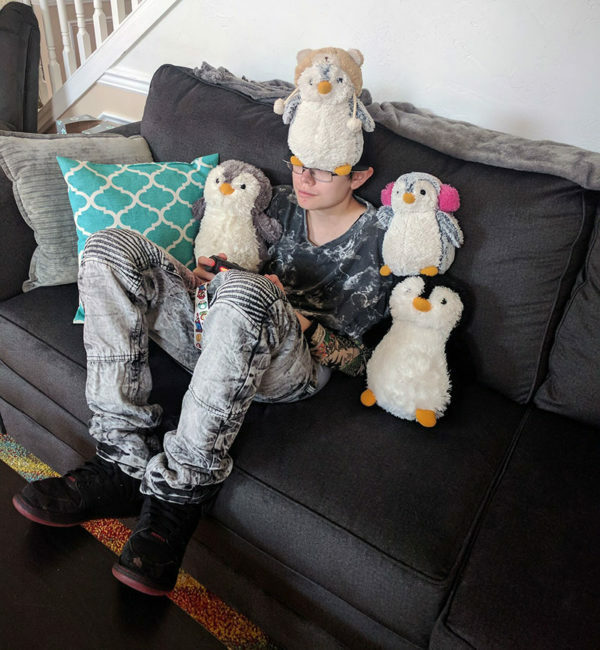 Doesn’t everyone balance penguins upon themselves while sitting on the couch? Last month, I talked about Sarah performing in a production of The Tempest through our local Shakespeare company, Orangemite Studios and their Dover Youth Shakespeare Academy. This month, we kept up the Shakespeare vibe. August included two theater auditions for Sarah – one for Antony and Cleopatra through our local Shakespeare company, Orangemite Studios, and the other for Frankenstein at The Belmont, another local theater, which she auditioned for with Dan. While neither of them got a part in Frankenstein, Sarah was excited to be cast with her friend Nash as Cleopatra’s attendants in Antony and Cleopatra. Spoiler alert for September’s update, when I post it: Since August ended, she also has auditioned for and received one of the lead parts in “Macbeth of the Dead,” a Macbeth retelling with zombies. Macbeth. Zombies. Nothing could be more in Sarah’s wheelhouse. 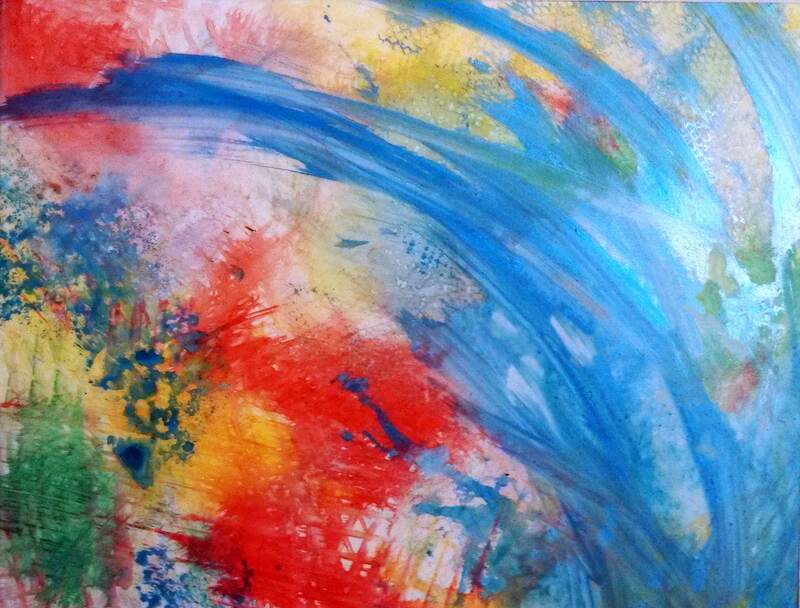 This one is through Weary Arts Group, one of the coolest groups Sarah has worked with so far. Romeo + Juliet – This is one of our favorite Shakespeare adaptations – modern staging with original text, in a movie starring Leonardo DiCaprio and Claire Danes. Interestingly, Sarah memorized a new monologue (Romeo’s part from the balcony scene in Romeo and Juliet) for her Antony and Cleopatra audition, and this was a huge help to her in learning it. Chris also found for us a song by Dire Straits called Romeo and Juliet, which we all thought was pretty cool. The Indigo Girls and The Killers have covered it too. Julius Caesar – Since Julius Caesar is in some ways a “prequel” to Antony and Cleopatra, we watched Orangemite’s DVD production of it before Sarah’s Antony and Cleopatra audition. Shakespeare Unlimited – This is a podcast series from the Folger Shakespeare Library, and Sarah and I have started listening to it as we drive to her guitar lessons each week. In August we checked out an episode called Myths about Shakespeare that was really cool! I got a new haircut to go with my new glasses! August started out with Sarah spending three days in State College, PA, home of Penn State University’s main campus, as part of 4-H State Achievement Days. She got to room with one of her best friends, learned about microbes that affect plants, and had a blast at the dance (always her favorite part). On the day we got home, she had a 4-H Wildlife Club meeting where, to prepare for the 4-H Fair/county roundup later in the month, the group gave oral presentations on some of their projects. Sarah presented on her alpaca genetics project, which was amazing and which won a gold ribbon at Fair. She did a TON of work on this project and is hoping to continue it in even more detail next year. There was also alpaca practice each weekend, with the club’s show taking place Aug. 19. The show at the York Fair is coming up this weekend, but Sarah will just be spectating for that one because of some allergy problems that make it not ideal for her to sit around all day in hay and fiber! SPEAKING of animal hair, we also had practices for 4-H Clover Canines, our dog club, culminating in a show at the 4-H Fair on Sept. 13, in which Sarah took first place in the advanced/teen category. She can’t show our dog, who is too old to even get into and out of the car any more, so she shows my best friend Nina’s husky, Thor, who is awesome! For the year ahead, we’re going to have to figure out what’s going to take precedence – 4-H or acting. This year, Sarah was president of two of her three clubs, and we just can’t manage that again for the year ahead, but it’s also nearing the end of her 4-H eligibility, so we don’t want to miss out, either. Stay tuned for updates on that! Sarah REALLY loved reading James Patterson’s Humans, Bow Down, ably assisted by stuffed monsteroo Whip. Sarah has really gotten into reading again lately. We’ve been working on our family learning journals together, and in fact we’re all making progress on our book lists and otherwise pursuing the topics we’re interested in. If you haven’t yet read about that project, definitely check it out here! The Trial by James Patterson – Sarah and I are reading this novella together after finishing another Patterson novella. She’s become a huge fan of his! Humans, Bow Down by James Patterson – SO much Patterson! 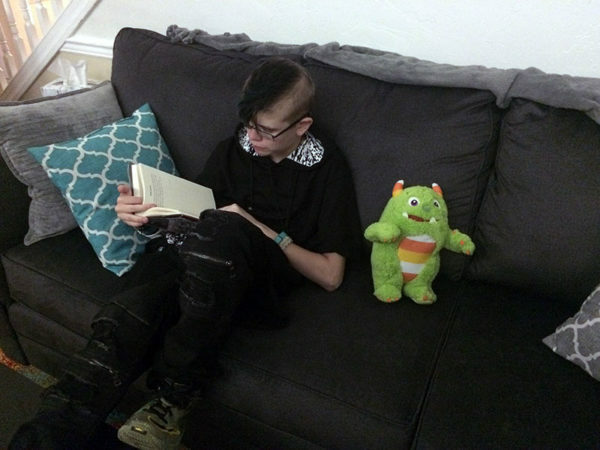 Sarah picked up this sci-fi novel of his at the library and started reading it on her own. She just finished it in September and loved it the whole time. The Book of Useless Information by Noel Botham – This is a great family “browsing book” – you know, one you can pick up, read a selection from, put back down, and not need to worry about continuity. Sarah read a bunch of excerpts to me while I was laying on her bed one afternoon and it was great! It tied right into the history topic from our learning journals, too. Alchemy and Mysticism by Alexander Roob and Alchemy, the Great Secret by Andrea Aromatico – Alchemy is one of the topics on both Sarah’s learning journal list and mine, and we are actually in the process of scoping out a place to get matching tattoos of the ouroboros, which is Sarah’s personal symbol and also the official name of our homeschool (Ouroboros Academy)! So we spent one day looking through her alchemy books and reading as much as we could about the various components of the things often pictured with it. Deadpool Kills the Marvel Universe Again, Vol. 1 and Vol. 2 – Sarah’s latest comic book reads. She’s almost always got comic books going! 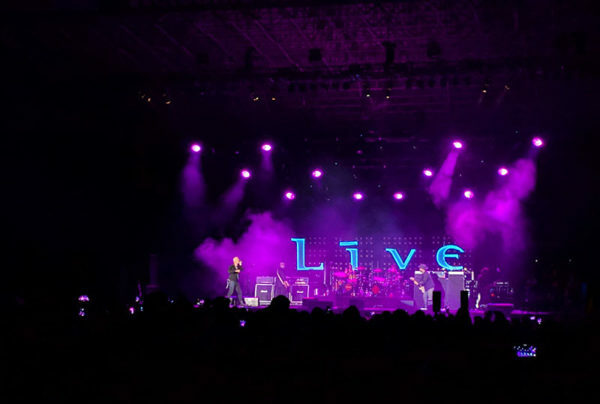 Dan took me to see one of my longtime favorite bands, Live, who come from my town, in concert in Bethlehem, PA.
Game Show Network – Doesn’t every family binge-watch Family Feud with Steve Harvey? No? Just us? Trolls and Sing – Are we dorks who like music and animated movies? Yes, yes we are. Invincible – Chris and Sarah were channel-surfing and caught large parts of this one. Stuff You Missed in History Class – This is another podcast series we all like to listen to. This month, Sarah and I listened to one on the Count of St. Germain and another on Charles VI of France, the Mad King. The Strange and Unusual Podcast – This month, we listened to The Tell-Tale Heart and Murder in Salem, and we’re looking forward to future episodes in this series. I keep saying that our rabbit trails are one of the best parts of unschooling. I want to make sure I’m intentional about focusing on some of the best ones each month, because I think these are really what shows what our unschooling life is like. While driving to an event, we pulled over to make way for a state trooper with lights and sirens on. That got us talking about the appropriate thing to do when you’re driving (HINT: PULL OVER, PEOPLE – this is a serious pet peeve of mine!) as well as, among other things, how police jurisdictions work, what is covered by the state police, who investigates the police themselves, and a bunch more cool stuff. Another day, my sister, her husband and their dog, Katie were visiting, and we ended up babysitting Katie, who is having some anxiety issues. We started talking about one possible option, a pheromone collar, and that got Sarah and I into looking up more about how pheromones work in general and what the vomeronasal organ is. But my favorite by far this month was the day we were sitting at lunch on the porch of a local restaurant, watching the ducks in a little creek, and talking about Hurricane Harvey and its impact on people we know. This led to a huge discussion about socialism and how it relates to disaster response, Norway (which has a much more socialized care system), Nigeria (which doesn’t even have government-provided emergency services), the bank crash preceding the Great Depression (including how FDIC insurance works), what happens when a state of emergency is declared, how disasters often hurt people of color and people of lower economic status more than upper-middle-class white people, why people can’t just move out of disaster-prone areas, why someone might not want to evacuate and a bunch more. All of these are topics that NO ONE, adults included, has a full grasp of, but Sarah did an admirable job of asking good questions and putting forth smart ideas. 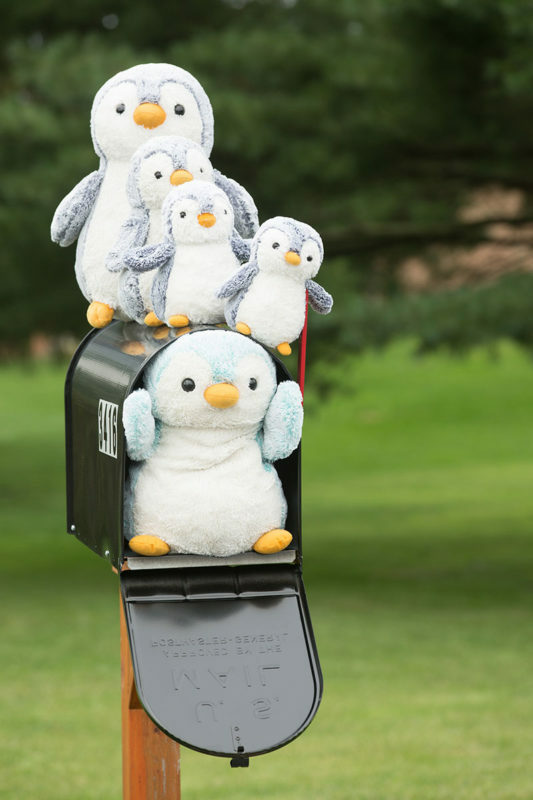 Shipping stuffed penguins by the dozens requires something of an assembly line. Here, I’m handling shipping labels and updating our online map; Mom is putting their little gift tags around their fat little necks with ribbon. Dan assembled the boxes and was taping them shut. 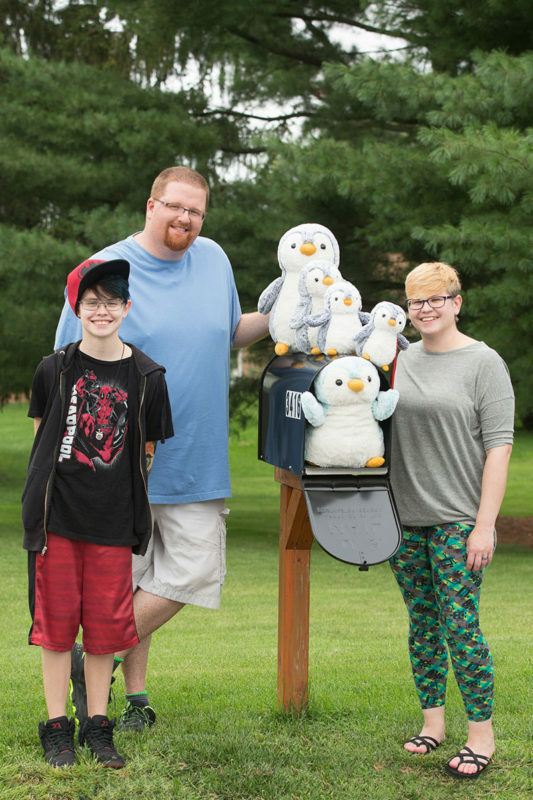 I’ve talked before about Pengins for Everyone, our family’s mildly crazy project to give away stuffed penguins – or, as we say, pengins – to anyone who requests one. 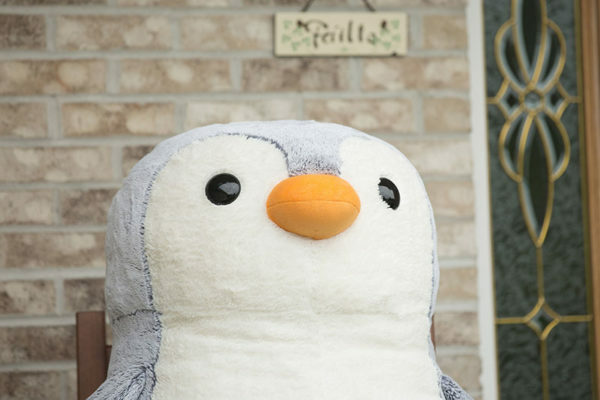 This month’s pengin update is that we had a bunch of amazing professional photos taken by CM&M Photography, which we’ll be using in a bunch of publicity materials. We also started the process of filing to incorporate as an official 501(c)(3) nonprofit, which we hope will make a big difference in our fundraising ability. Oh, and we shipped about 50 of the little dudes (and dudettes) to new homes. If you want to learn more about this project, follow the Pengins for Everyone Facebook page. We share photos and videos of our crew hard at work trying to fulfill some of the 21,000 total requests on hand. Even though she already beat it, Sarah spent some time this month playing Uncharted 4 on PS4. She also plays a bunch of FIFA 17, and she and Dan spent some time gaming together this month on his computer, playing a couple of new-to-us games like Pyre and Kerbal Space Program. She’s also been playing more basketball outside lately, including a couple of rounds with Dan as well as one day when she and I went out and shot around in the rain, then came up to sit on our new porch rockers once it started storming in earnest. That was pretty awesome! My best friend got married in August, and Sarah got to see some friends in my friend’s family, which is basically like our extended family. Guitar lessons: Sarah continues to take weekly guitar lessons from the amazing Rod Goelz, also at Weary Arts. He’s amazing! My best friend’s wedding: No, not the movie; my best friend got married to her high school sweetheart during a beautiful wedding on his dad’s farm earlier in August. 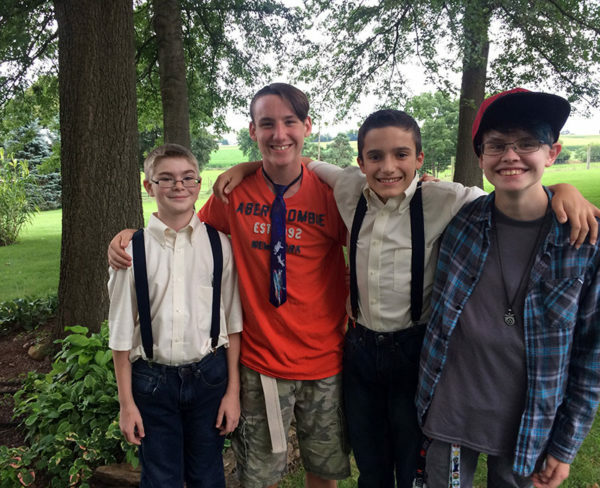 Sarah is friends with lots of the teens in her family, so she got to hang out with some cool people, including one situation that involved three people sharing a set of suspenders. As you do. Daddy-daughter days: As a newspaper sports editor, Chris has a really terrible work schedule starting in August. He gets, like, Wednesdays and Thursdays off (sometimes, if he’s lucky), and he works 14+ hour days most other days to cover all the high school stuff plus college and pro sports. So when he does have a free day, he often dedicates it to “Daddy-Daughter Day.” Like one day in August, the day he and Sarah double-featured movies at the theater, he also took her to the York Emporium, our favorite used book store, to the Timeline Arcade in downtown York, out to lunch at the White Rose (a super-cool downtown restaurant) and to the comic store. Celtic Thunder: Celtic Thunder is cool – a band that Sarah, me and my mom all love. We spent one day just listening to a bunch of their songs at home, and in exciting news, we got our tickets for their show in Hershey, PA, just before my birthday in November. This will be our fourth year of all three of us attending, and my mom and I went one or two years before that too! Homeschooling Outside the Box: I was invited to speak as part of a panel on a local seminar about non-boxed-curriculum homeschooling. 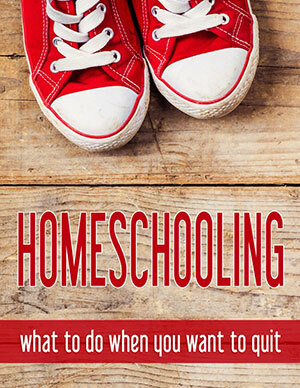 If you’re into more relaxed, nontraditional homeschooling (as I assume you might be, since you’re reading this), you should check out our Homeschooling Outside the Box Facebook group. Make sure you mention you heard about it on Unschool Rules in the membership questions; we are trying to be pretty judicious about approving people! Anyway, one of the coolest parts of speaking at the seminar was that Dan and Sarah both attended, and afterward, Sarah spent some time talking to a few families – kids and parents alike – about our unschooling experiences and what she finds valuable about them. It was pretty sweet! 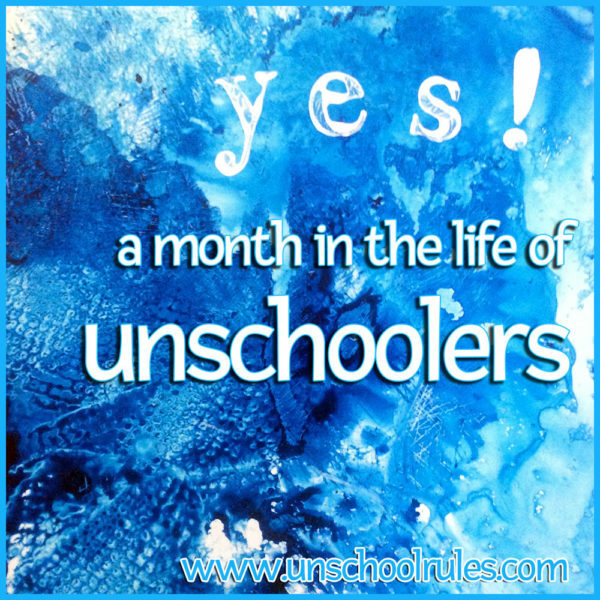 Then, Sarah helped me come up with our 12th-grade curriculum un-plan post, so we got a lot of chances this month to kind of “learn about learning” by talking about unschooling and how our lives might be different from some other people’s. The Walking Dead fandom: So, one of Sarah’s biggest interests is The Walking Dead, especially Norman Reedus and his character Daryl. She has an Instagram fan account full of amazing photo edits (usually with accompanying song lyrics). She would love your follows if you like TWD! Photo editing is a big pastime of hers, using a huge variety of apps. She even saved up $700 and bought a VIP ticket to Walker-Stalker Con New Jersey so that she could meet Norman… except then he canceled. Cancelled. After she spent $700. Heartbroken doesn’t even begin to describe it. We’re still going (Dan, Chris and I have low-end day passes, too), but we’re trying to figure out what’s next in the “Meet Norman” plan. If anyone has any ideas, we’re all for them. I couldn’t believe it! Places we went: September heralds the opening of Sarah’s favorite store ever, Spirit Halloween, so of course we went there. We finally visited the mini golf place a half-mile from our house, and Mom, Dan, Sarah and I had a fun round of golf that included Mom getting a hole in one with a bounce off Sarah’s shoe. Sarah went grocery-shopping with Dan and me, which led to her saying “I think we should try a new fruit,” which resulted in our tasting a papaya for the first time. She and I got new haircuts. And, because why not, we went “back-to-school clothes shopping” and Sarah got some new jeans, sneakers and shirts. Since our “curriculum plan” for this year featured not just Sarah but the other house adults, I figure I should start giving monthly updates on our progress too. So here’s a look at what’s new with the rest of us! Me, Joan: I took and passed my second-degree black belt test at Dover Dragons Tae Kwon Do on Aug. 19! What’s below is a video from my test, a five-board breaking combo. That was most of my focus in my free time in August, though I also finished reading 10 books, including two about prison issues (Incarceration Nations by Baz Dreisinger and Hard Time by Shaun Attwood, which is free on Prime Reading this month if you have Amazon Prime), plus some focused on my idea of understanding other cultures. Oh, I also vended at an art market (see my art here) and Dan and I traded in one of our two Honda Civics for a Subaru Forester SUV. Dan: Dan contributed his update as follows: “I got a little sidetracked in my reading and went off on a ‘Greek gods are real and computers are actual magic’ tangent, but I also managed to get through my Python book. Well, actually, my other Python book because the first one was a little too didactic for me. But I’m well on my way to barely understanding what I screw up, which is a lot better than where I was, which was completely not understanding where I screwed up. Always progress!” He has since used his Python programming knowledge to run some simple scripts that helped us sort music for our car’s flash drive and sort photos for a work project, so I can confirm he knows what he’s doing at least somewhat. My mom, also Joan, aka Mommom: As I talked about in our roundup, Mom is really active in her church. 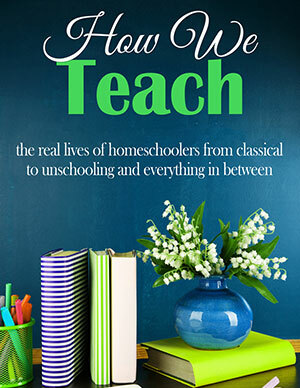 That makes her the only one of us… the rest of us fall somewhere on the spectrum of Unitarian Universalist to agnostic to lazy lapsed Methodist, and we are fully secular in our homeschooling. That said, it’s really important to Mom, and we are proud to support her! In August, her next group of Stephen Ministers – a program she co-leads – graduated, and she joined a new Bible study group. Outside of church, she worked on her charcoal sketching, including a really cool one of a man’s face. She’s already made me some great drawings of Sarah, which I’ll post some other time if she OKs it! This entry is about books, curriculum, everyday life, mom learns too, monthly wrapup, movies, parenting, philosophy, unschooling, video games. The previous post was The unschooled version of an 12th-grade-ish curriculum plan for 2017-18. 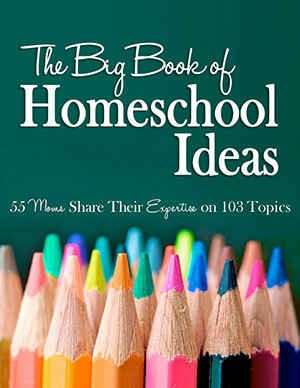 The next post is Our unschooling planner system: Documenting relaxed homeschooling. 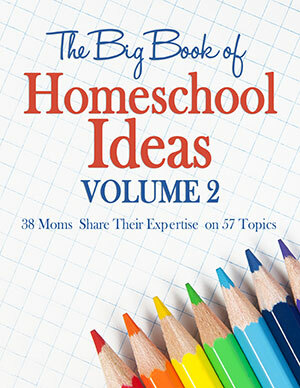 I so enjoyed working with you on the Homeschooling Outside the Box panel! I am looking forward to more events in the future. Thank you for sharing this, I absolutely love reading about what other unschooling families are doing. Thank you for having me!! It was fun – can’t wait to do more! Hi Tanya! Glad you liked the penguins. And I felt the same way about that Jim Carrey stuff – I was floored and surprised at how deep he is.